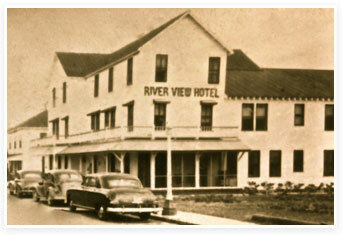 The Riverview Hotel began as a two-story hunting and fishing lodge built by Captain S.H. Barber in 1885. Barber was a part-time carpenter and the bridge tender for what was then Coronado Beach (now New Smyrna Beach). With the success of Henry Flagler’s railroad making Florida a tourist destination for many northerners during the winter months, in 1910 Captain Barber and John Vrooman raised up the existing building to serve as the second and third stories, building a new lobby and dining room underneath. Essentially turning it from a house into a hotel. 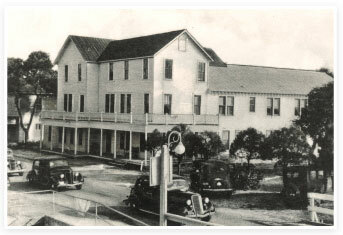 After managing the hotel from 1930-31, Fred Tyron purchased the Barber Hotel in 1936 changing the name to the Riverview Hotel. 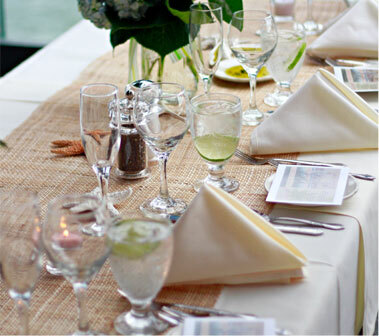 A man of great hotel experience, before moving to New Smyrna, Tyron was the head chef at the Alcazar Hotel in Saint Augustine, once owned by Henry Flagler himself. He then built the west wing of the hotel and added the individual bathrooms and steam heat. As air conditioning was not widely used yet, guests kept their cool by opening all the doors and letting the breeze pass through their room. Just one of the many reasons the hotel was open in the winter and closed in the summer until World War II, when local coast guardsmen patrolling the beach stayed here. Tryon died in 1954; his daughters, Mrs. Richard Paxton and Mrs. Dorothy “Do” Miller, and son-in-law, Richard Paxton, ran the hotel. “Do” Miller enjoyed making Christmas ornaments in room 301 where she lived while running the hotel. She also ran the hotel and restaurant as the primary day-to-day manager. During the Christmas holidays she was known for hanging Christmas stockings on the outside of guest doors filled with jars of fresh jam and jellies, and dressing the lobby with a Christmas tree, fresh fruit and nuts. However declining hotel occupancy led to its use in the 1970’s as a youth hostel. The building suffered neglect; its unpainted condition earned it the nickname “The Gray Ghost.” Some called for its demolition while others began a bumper sticker campaign: “Quaint--Not Paint,” which was countered with “Paint---Don’t Feign.” Finally, fire code violations brought its closing in 1981. John Spang of Winter Park, owner of the Park Plaza Hotel on Park Avenue, was put in charge of renovating the Riverview properties in March 1984. His extensive renovation -- and addition of a swimming pool and restaurant -- created a showplace with a new lease on life. 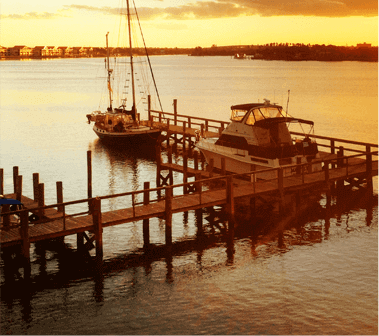 Jim and Christa Kelsey, former owners of the Faro Blanco Marine Resort in Marathon, Florida, purchased the property in November 1990. 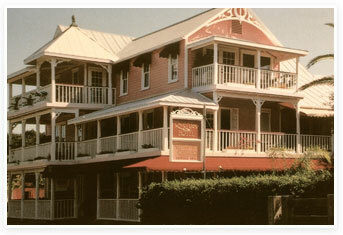 The Kelseys ran the hotel with passion, painting the hotel a shade of bright pink to give it a Key West feel. In 2003, their daughter Katey opened New Smyrna Beach's first world- class spa, The Spa At Riverview adjacent to the hotel. Christa Kelsey passed away on August 9, 2010, taking with her a big part of what made the Riverview Hotel so great for so many years. On November 22, 2011, Wayne and Judy Heller, avid fans of the hotel for over 13 years, purchased the property. Seeking to make their mark on the hotel, they began renovations to update the rooms, pool and public areas with an old Victorian feel but with the modern amenities people have come to expect in luxurious hotels. While Wayne and Judy could not be there to run the hotel on a day-to-day basis, they brought in their son, William, to serve as the General Manager. William continues to bring his creative skills to the table to update the hotel’s decor, technologies and marketing. 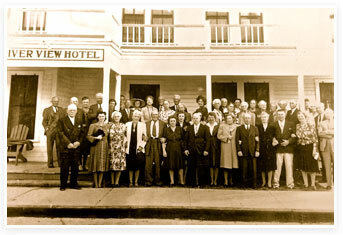 As you can see, The Riverview Hotel has been an ever-changing establishment since its founding more than 128 years ago. With every change in ownership come new ideas and with every new generation come higher expectations. When you walk through our hallways and talk to our staff, just remember what you see is the culmination of the passion of six families, who’ve shared a passion for hospitality for well over a century.